Training workshop of the IEC Academy was held on March 27-28, 2019 in STANDARTINFIORM. 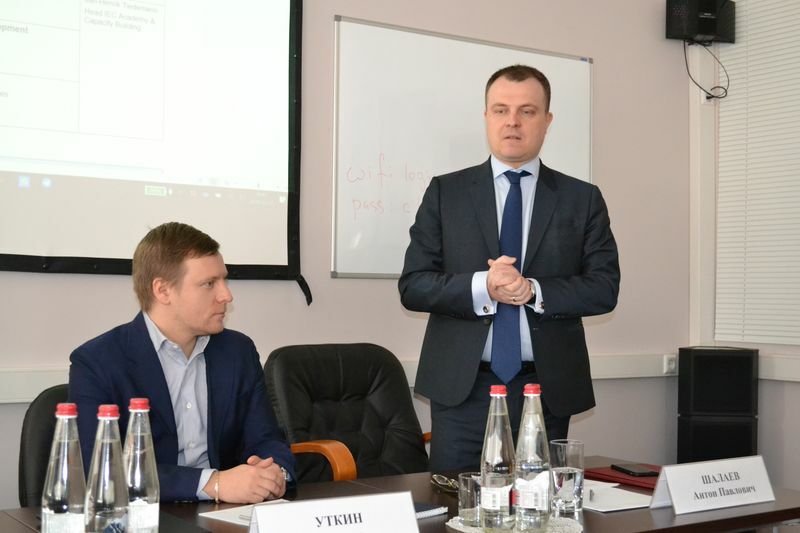 Head of the IEC Academy Jan- Henrik Tiedemann, Deputy Head of GOST R Anton Shalaev and First Deputy Director General of STANDARTINFORM Aleksandr Barkov took part in this event. 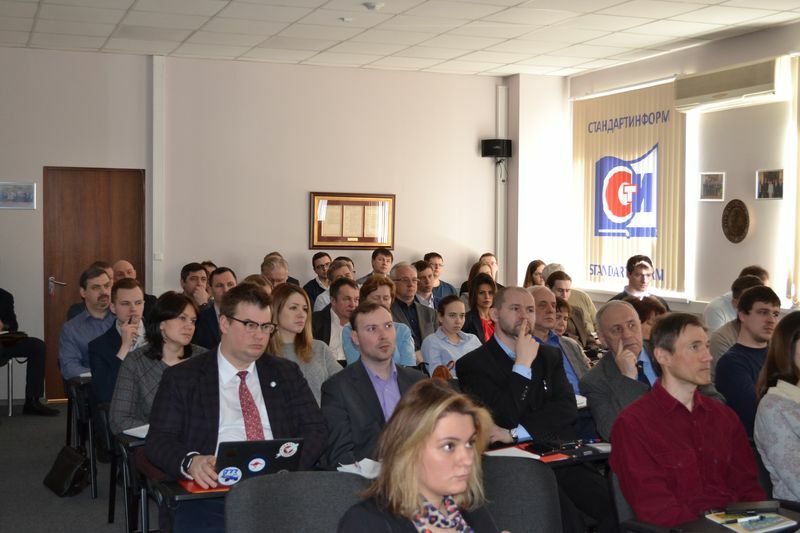 This workshop was intended for new specialists and for experts working in technical committees of the Russian Federation or in IEC technical committees. 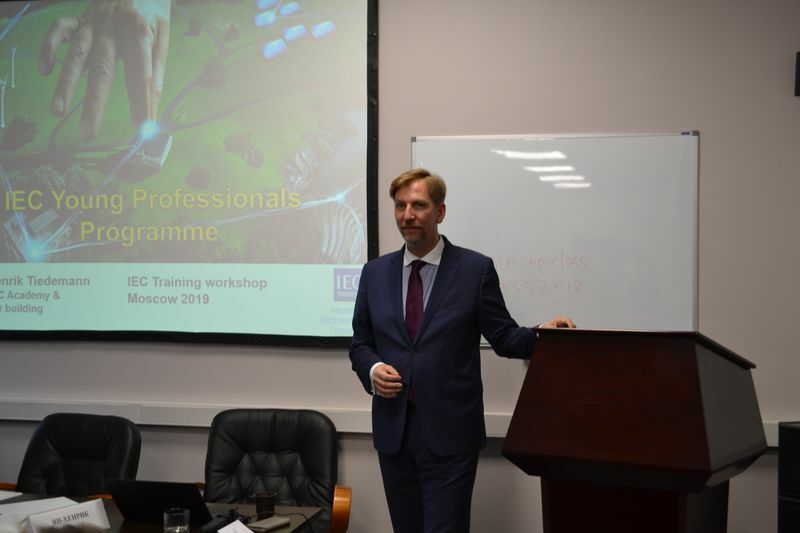 Anton Shalaev opened the workshop, greeted all participants and expressed gratitude for IEC staff for the unique opportunity of holding of this workshop in the Russian Federation. 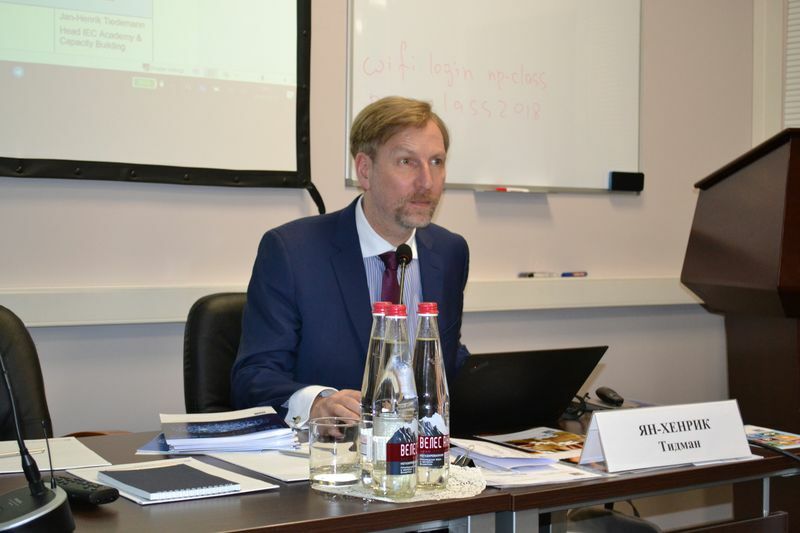 Jan-Henrik Tiedemann told about main activities of the International Electrotechnical Commission (IEC), structure of its technical committees and the mechanism of work of the IEC Central Office. He paid special attention to the IEC IT Tools in the field of standardization and told about the opportunity of sending of commentaries to the normative documents directly in IEC. Participants of the workshop learnt about the structure of modern IEC official web site. Listeners also received useful data concerning IEC programs for young specialists. These IEC programs have taken into account modern fields for professional development. Participants of the workshop had great opportunities to ask questions to the Head of IEC Academy. All participants were given special IEC Certificates at the end of the workshop.